The versatile Infinity Modular can slide into many arrangements. Compliment your space perfectly, and transform your seating to suit every occasion. Take advantage of Perth’s sunshine and fresh air. Create an outdoor living oasis, to talk with friends, enjoy wine or tea, and seat plenty of guests at parties. The high backrests with soft, plush cushions are perfect for reading a book or watching TV outdoors. 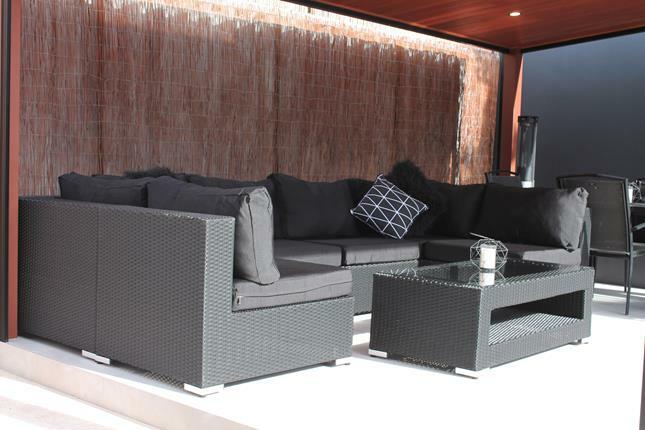 The sleek design will create a modern and stylish look in your garden. 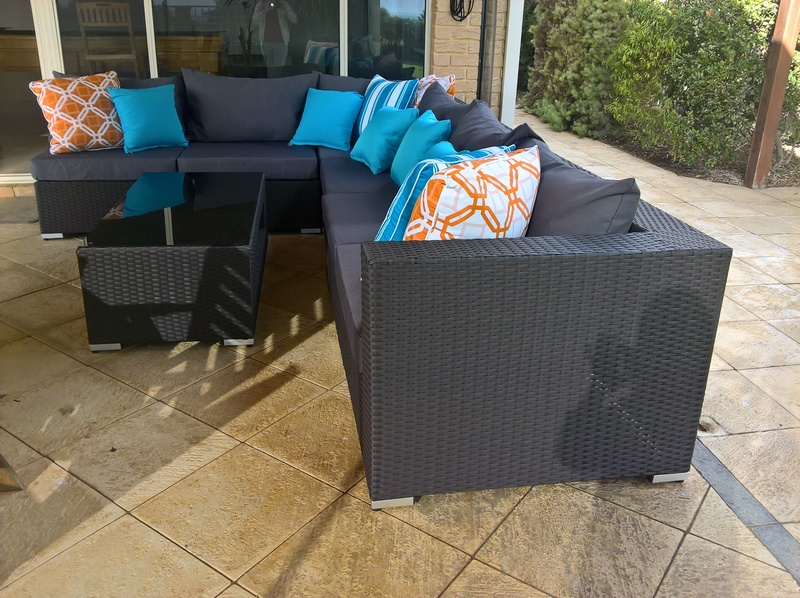 Choose the perfect wicker and cushion colours for your outdoor sanctuary. Your patio, deck, or poolside will be the best place for entertaining. 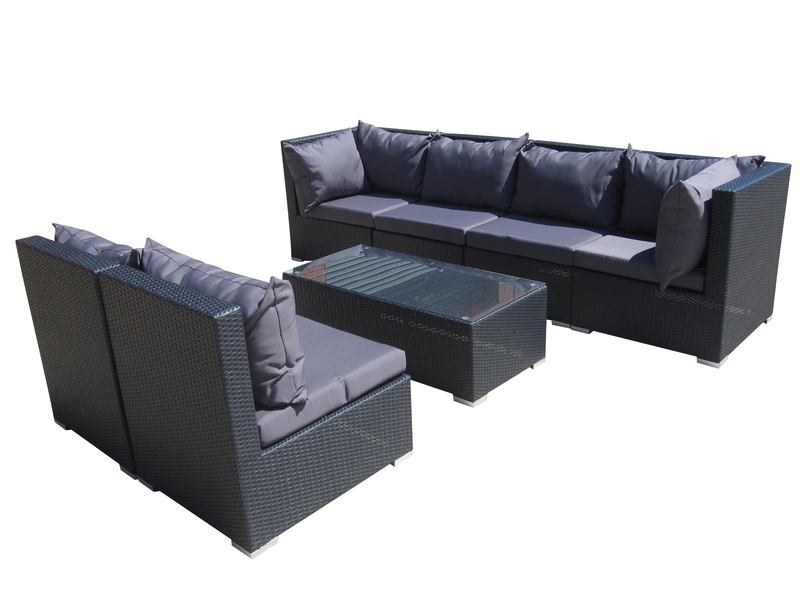 (4pcs) no arm sofa: 75cm wide x 90cm deep x 69cm high. (2pcs) corner sofa: 90cm wide x 90cm deep x 69cm high. (1pcs) coffee table: 120cm wide x 60cm deep x 40cm high.